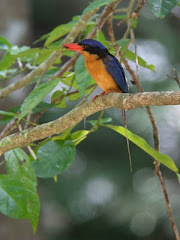 Red Mill House - Daintree Birdwatching: Winter birding magic! 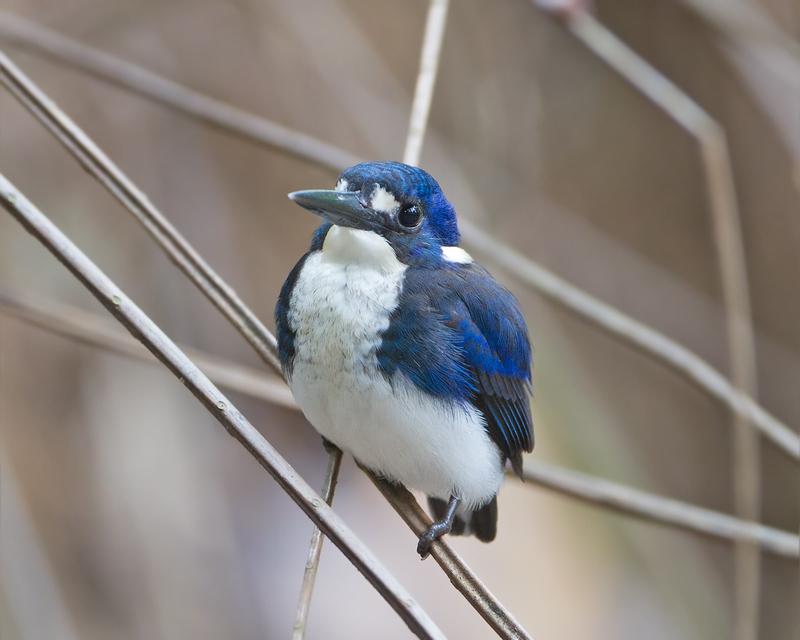 It's such a nice time of year to be birding in the Daintree. The Daintree River has been very productive with early morning river cruises offering good views of Great-billed Heron, Papuan Frogmouth, Azure Kingfisher and even sightings of White-eared Monarch. A few of the strangler figs are fruiting profusely, and on Stewart Creek Rd there have been good numbers of Black-faced Cuckoo Shrike, Barred Cuckoo Shrike, Topnknot Pigeon and Metallic Starling enjoying the fruits. Excellent sightings of Southern Cassowary, Victoria's Riflebird and Bridled Honeyeater north of the Daintree River. 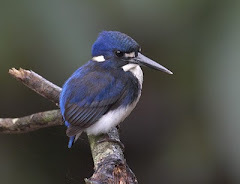 Great daily sightings of Little Kingfisher in the pond at Red Mill House, plus Double-eyed Fig-Parrot, Black-faced Monarch and Wompoo Fruit-Dove in the garden. Macleay's Honeyeater, Spangled Drongo and Helmeted Friarbird are all enjoying the small quantities of banana on the feeders each day. The nectar-rich, bright red Calliandra flowers are a great attraction for the nectar feeders, particularly Olive- backed Sunbird, which are plentiful at the moment, and the honeyeaters.